This Chromebook makes working online effortless. It's easy to use, fun to show off and perfectly portable with power to last all day. Amazing, isn't it? Chromebook won't load and run traditional PC applications such as Microsoft Office or Skype. However, Chromebook uses Chrome-specific apps for everyday tasks. You'll be able to create documents, listen to music, edit your photos, chat with friends and family and play online games. Plus, you can download many additional apps from the Chrome Web Store. No more buying and installing software — thousands of apps are free and feature automatic updates. Quick delivery. As described. Super fast. At first I was nervous about getting a refurbished one, but I have no complaints! Loads games and videos very fast! Just recieved it last week and it looks brand new! I love how lightweight it is, being that I need it for school. I've never had a Chromebook before but it seems pretty easyto use. If not, Youtube and Google will be my bestfriends lol. The price was amazing as well. I just received the Chromebook, and it is working great. The system is super fast and light. I have an HP Chromebox as well I purchased 2 years ago and is still working great. Yes, there are some drawbacks but overall this Chromebook is working wonderfully. You just have to update the Chrome OS which is free and takes approximately 3 minutes to do. This Chromebook sets the standard for what one should be. The screen is clear and bright, the keyboard feels nice, the trackpad is fluid and the speakers are not bad at all for such a small computer. This unit with a Celeron Dual-Core plays YouTube video at 1080P with no problem. My other Quad Core would only play 720P, After a full charge, I played videos for 6 hours straight and it still has enough power for me to write this review. For a refurb, mine was delivered in like new condition. This is the second refurb I've purchased from Walmart and it looks like this one is a keeper too! Oh BTW, after Chrome updated the browser, Google Play was installed. That was a nice surprise. Now I have access to all the apps on Google Play. The information said it was a refurbished Chromebook. It looks new to me. No scratchs, or wear marks at all. I am still learning how to use it. but so far I love it. The only bad thing is some of the apps I used on my android tablet will not work on the chromebook. I am still looking int to other apps. I absolutely love my HP Chromebook 11. I'd been toying with the idea of buying a Chromebook for a few months now and I really was looking at ones with 4GB ram and 32 GB eMMc drive. However, this refurb HP came around and I felt the smaller eMMc drive was a great trade off for the reduced price. I've had mine for about 2 weeks now and I think I'll never buy another Windows PC or Macbook again. This thing is zippy!!! The screen is great, for its smaller size I have no problems reading text. I can't tell a difference between this and my Dell Latitude. I know other reviewers have complained that the competing Samsung Chromebook 3 has terrible speakers and poor sound quality, even going so far as to recommend using headphones only. I had low expectations for this HP chromebook, but I can tell you that speakers are great and when turned all the way up they are LOUD!!! I watch youtube videos without any problem and can hear audio from across the room. Battery life is stellar. 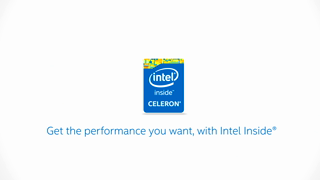 The low drain of the Intel Celeron processor lets me charge about once a week with light daily use. I bought an 11 inch sleeve for my Chromebook and I take it in my carryon bag when I fly. Again, with only 16 GB of eMMc storage, you won't be able to keep all your pictures, your music, or videos on here but thanks to Google Photos, those live in the ‘cloud' already and for free! My chromebook offered me 100 GB of Google Drive space free for two years, also! Score! That's a $48 value. (Open your files app and look for the banner advertising the 100GB free offer.) The only thing I could complain about is the touchpad, and it's not that big of a deal. You have the option of tapping the trackpad to click or you can press down to click. I find myself usually tapping but sometimes it doesn't register my tap so I must forcefully tap or click. It could just be user error, but it's sometimes annoying. All in all, I've found this to be an incredible value for $129. It came out of the box looking like new, I'd never know mine was a refurb. It has changed my opinion of cloud computing and life in the google cloud is nice. I agree with others who rate this 5 stars , I use it at work to check out the weather and maps, I drive for my work and need a good map base , they don't make maps any more and this chrome book works great for me , And the price can't be beat , bought refurbished it looks like new and works like new also I only charge the battery 1 time a week, You won't be disappointed . My son loves this computer. It's a refurb, but it's clean and fast. A great product for the price! Overall very good design idea. Fairly easy to use if you add a wireless mouse. Fast start and shutdown. No internal fan noise. Design defects, no delete key and small in size using small letters labels on the keys. Surprising fast , versatile and long last battery life. 95% of daily work can be done with chromebook. Most of app is free from the google store. *little hack and you can sideload the app from anywhere. The only reason I take a star off due to its Wifi-card, Intel 7265 with bluetooth is overall not a good wifi-card. Although advertise for AC, you aren't going to get anything more than 50mb even right next to the AC wifi router. Miracasting via the wifi card is also flaky. Yes, I could replace with AC3165, but, I am too cheap to do so. Is this touch screen? Also what is the model G4 G5...etc.? 1. The laptop is model RB11-v010wm. It does not have a touchscreen display. 2. This model is not a touchscreen. I am not sure about G4 or G5. Sometimes the G stands for generation. 1. Yes, games can be played on this. 1. Yes, this computer will connect to wireless internet.